As Zambia becomes better known as a safari destination, it still retains its essence of true wilderness; a place that doesn’t feel overtaken by humans, thus providing an unpredictable safari experience. (An indispensable element if you are seeking an exhilarating and unforgettable trip.) Therefore, it is necessary to enter this country with a deep respect for the purity of the wildlife areas, the kindness of the people welcoming travellers with warmth and hospitality, some of the best guides in the entire country and the remoteness of the camps. Welcome to Zambia, where natural beauty still determines the rhythm. So what is it in the Lower Zambezi that attracts so many wildlife enthusiasts? Well, make yourself comfortable, because the list is long. 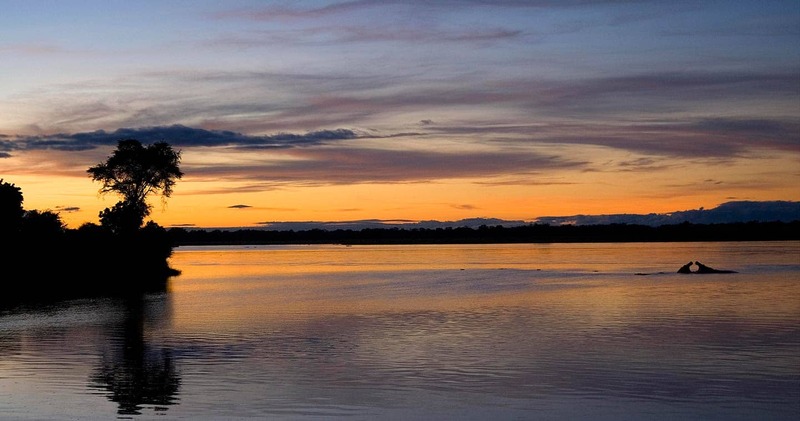 UNESCO declared several areas of the Lower Zambezi World Heritage sites, mainly because it is home to a ‘remarkable concentration of wildlife’. Simply put: the Lower Zambezi is famous for its big game. And that is one of the reasons why you want to venture out to this part of Africa. Think: mind-blowing herds of elephants and buffaloes, an impressive population of Nile crocodiles, plus predators such as lions, leopards and the African wild dog. Together with the wildlife, there is the big blue Zambezi River. Flowing gently due to its subtle gradient, it is perfect for canoeing. 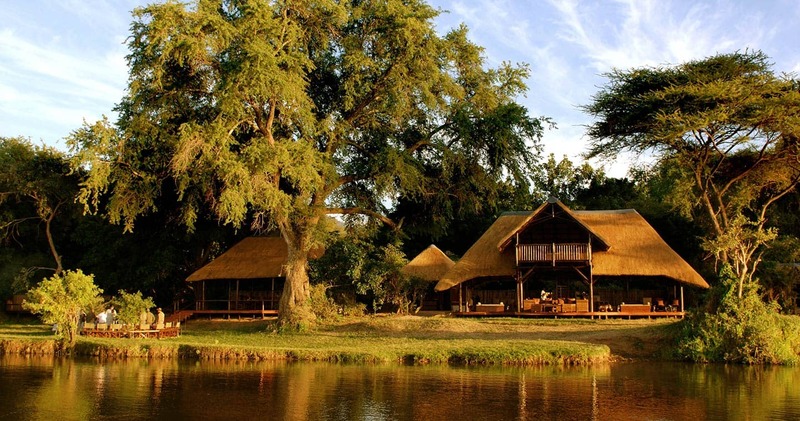 All this with a backdrop of the majestic Zambezi escarpment that gradually slopes down to meet the river. Since there is so much more to tell about this unique area, read on for more interesting details. First, some history of the Lower Zambezi area. Zambia lies landlocked between the Tropic of Capricorn and the Equator, shaped like a butterfly and covering about 752,610 square kilometers. 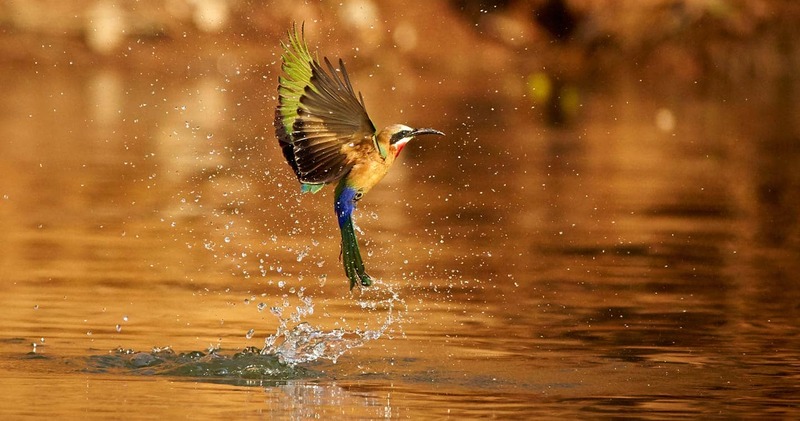 The Lower Zambezi National Park – located in southeastern Zambia - was declared a national park in 1983, serving as a private park of the Zambia president before that. Because it was private for so long, the park was protected from mass tourism, thus sustaining its pristine wilderness. Due to the CITES ban on the world ivory trade and because of the presence of ZAWA teams carrying out law-enforcement patrols daily, the park and its wildlife population (especially elephants) have remained remarkably stable ever since. Not just the park, but the entire area is a true wildlife sanctuary. On the opposite bank is Zimbabwe's famous Mana Pools National Park, and the park itself is ringed by a much larger game management area (usually referred to as the GMA). Because there are no fences between the park and the GMA, animals can roam free across the area and will frequently do so. The best part of the Lower Zambezi Park and its surrounding GMA is the remoteness. Unlike other South African parks, this one has no paved roads, so it is unlikely you will encounter another safari vehicle. More and more precious these days is a night sky without light pollution. Here you will see the most impressive blanket of stars, including mind-boggling views of the shimmering Milky Way. The small and intimate lodges contribute to this feeling of being in a place where the modern world has yet to intrude upon nature. 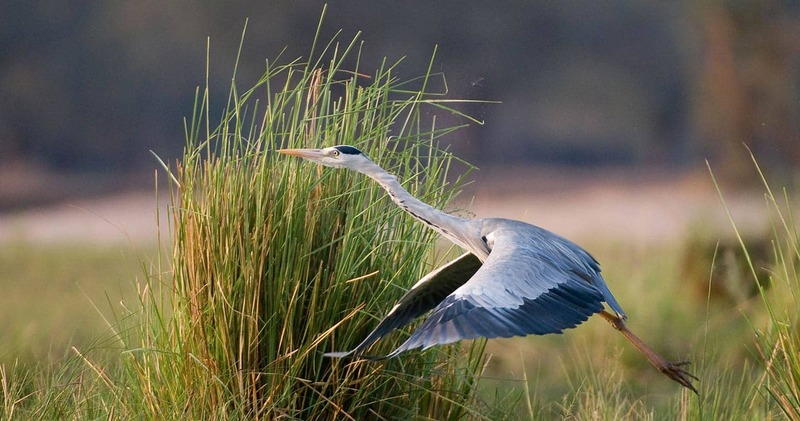 What makes this park a great destination for a safari is the concentration of wildlife around the water. The Lower Zambezi covers a vast area of 4,092 square kilometers, but most of the game is concentrated along the valley floor. There is also an escarpment along the northern end, which acts as a physical barrier to most of the park’s animal species. Expect some terrific photo-opportunities as enormous herds of elephants, some up to a hundred strong, gather at the Zambezi River’s edge to quench their thirst and splash around. During a canoe trip on the river, you might face ten or more hippos, peeking curiously above the water surface. Also, ‘island hopping’ buffaloes – there are several rocky islands in the Zambezi River - and waterbucks are commonly seen, not to mention prolific birdlife and fishing. There is simply too much to tell; good thing you can read more in this section. The incredible landscape of the Lower Zambezi valley is a result of a huge rift in the earth's crust. 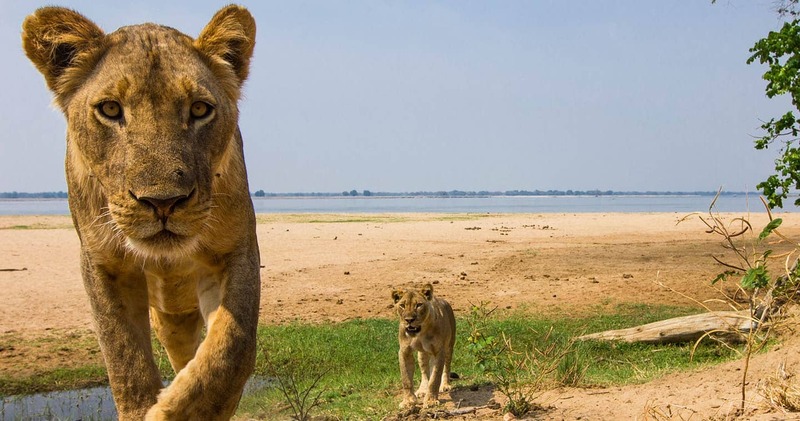 Over millennia, mineral-rich volcanic soils deposited by the Zambezi River have nurtured lush vegetation, now attracting a big variety of wildlife.